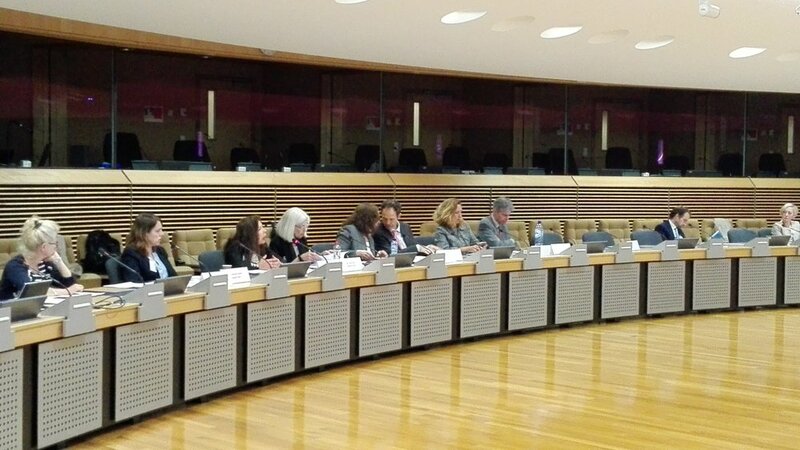 The dissemination of the ‘Evaluation of EU support for Security Sector Reform in Enlargement and Neighbourhood countries (2010-2016)’ took place at the Berlaymont in Brussels on May 23rd. Participants discussed the evaluation’s results and recommendations. Approximately 50 people attended, including EEAS staff, Permanent Representations, NATO, academia, think-tanks, and other stakeholders involved in Security Sector Reform in European Neighbourhood Instrument (ENI) and Instrument for Pre-accession Assistance (IPA) beneficiary countries. The evaluation ran from February 2017 to May 2018 and was commissioned by the European Commission, Directorate-General for Neighbourhood and Enlargement Negotiations (DG NEAR). Landell Mills led the evaluation, in partnership with Linpico. The evaluation identifies key lessons and best practices and produced 16 recommendations to improve current and future EU strategies, policies and actions in the sector. The final evaluation report can be downloaded on the DG NEAR website in the ‘key documents’ section.